Be regal! 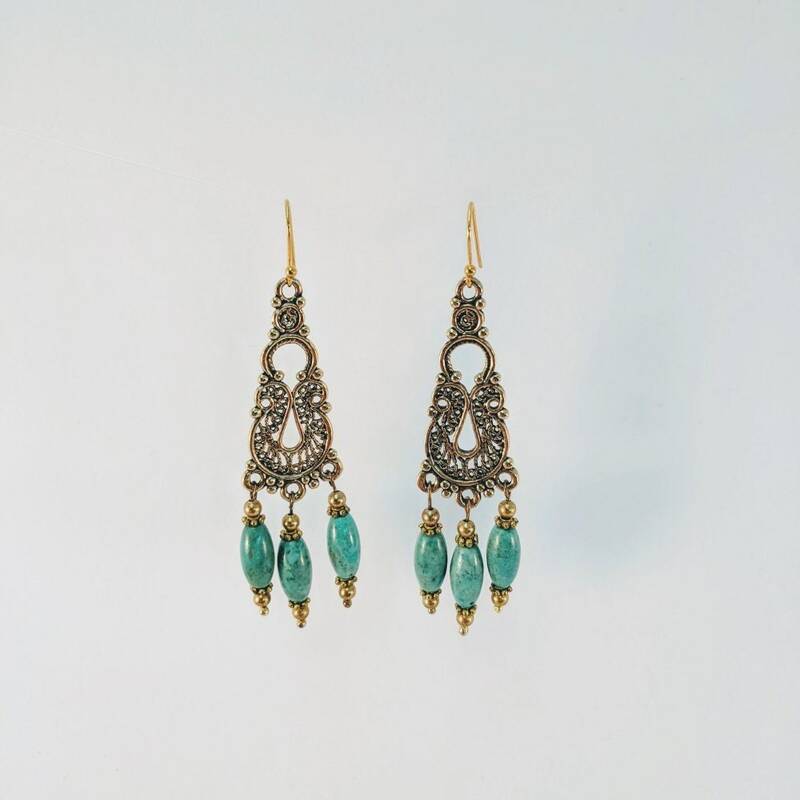 These Egyptian style earrings are made with turquoise barrel beads hanging from an ornate antiqued gold plated finding. 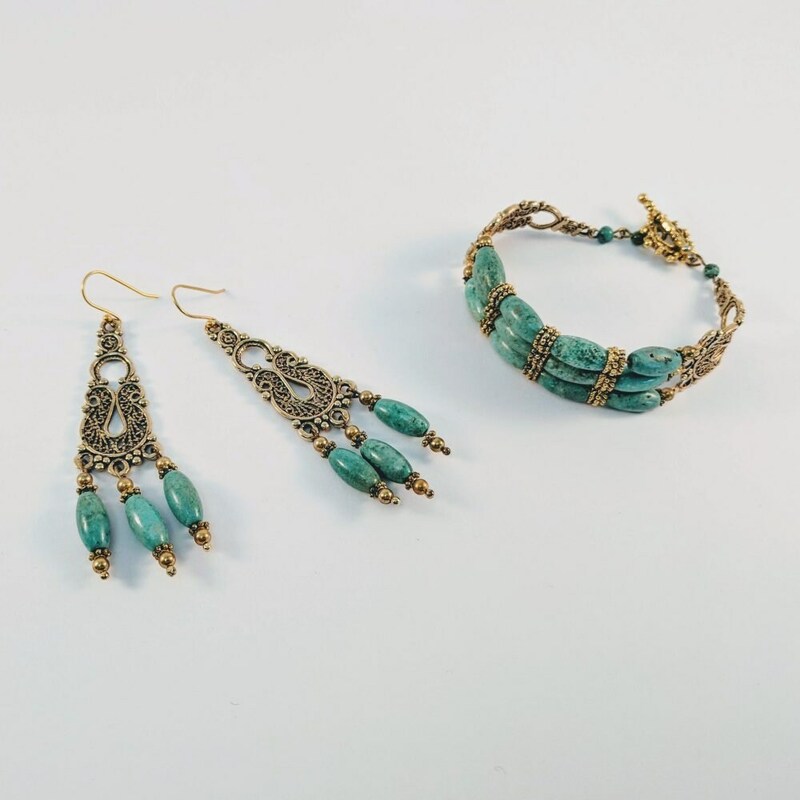 By the time of Cleopatra's rule, the Roman influence was evident in the jewelry with intricate designs and the granulation technique. They are 3 inches long including the ear wire and approx. an 1 inch wide. Matching bracelet is listed separately or the complete set can be ordered at a discounted price. Convo us with a custom order if you want it this set in silver and/or with carnelian stones instead of turquoise. 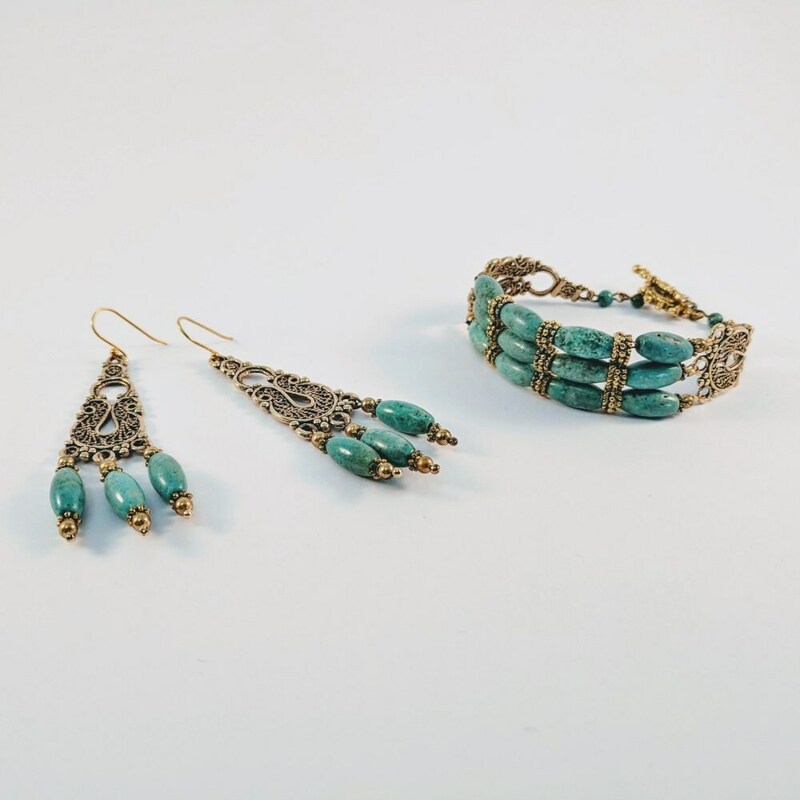 For more jewelry with turquoise stones, visit our New World Jewelry section.